Okay, that's "brochure talk." What are the real benefits that you'll actually notice from drinking these shakes? 1. They'll keep you from getting hungry due to the fiber and protein they contain. 2. They taste good, so they're a treat! This is very important for your morale while on Nutrisystem, as many of Nutrisystem's "shelf-stable" meals are not exactly gourmet delights. And that's being kind. related: CAN'T AFFORD NUTRISYSTEM? CLICK TO SEE A CHEAPER ALTERNATIVE. Both shakes are low-calorie, high-protein, and high-fiber to make you feel full without packing on the pounds. And because shakes are liquid, you’re less likely to feel bloated from ingesting all the fiber they contain. Both shake mixes come in Chocolate and Vanilla flavors, and are sold as powders. Just add water, shake, and your drink is good to go. What’s The Difference Between TurboShakes and Nutricrush Shakes? 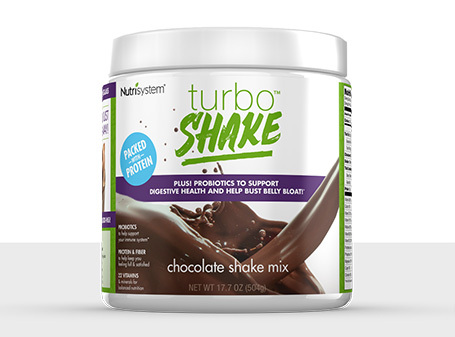 For TurboShakes, Nutrisystem has added a blend of probiotics, so in theory, it may help your digestive health. On the other hand, NutriCrush is loaded with calcium, which is great for keeping those bones in tip-top form for your busy lifestyle (like if you can’t find time to eat enough calcium-containing dairy/dairy substitutes). So why didn't they put both of these good ingredients (probiotics and calcium) into one shake instead of creating two different ones? Good question! Wish I had the answer to that. TurboShakes seem to be the Priority. 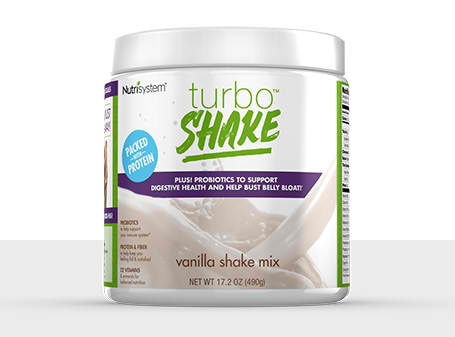 TurboShakes are very much a part of Nutrisystem’s diet plans, as these shakes are included in the “Turbo Takeoff” portion of their Lean13 kickstart program. Turbo Takeoff is a week of higher-intensity, non-customizable dieting, so regardless of which diet plan you purchased, expect to be disciplined in your first week. 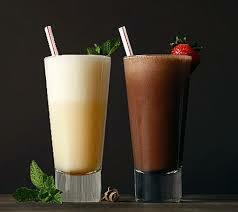 Mercifully, Nutrisystem has included TurboShakes as a sweet ray of sunshine in these crucial seven days. If you’re not committing to a Nutrisystem diet plan, you can still buy TurboShakes a la carte. You’ll even find them at Amazon and Walmart! Nutricrush Shakes are not bundled with any plan. 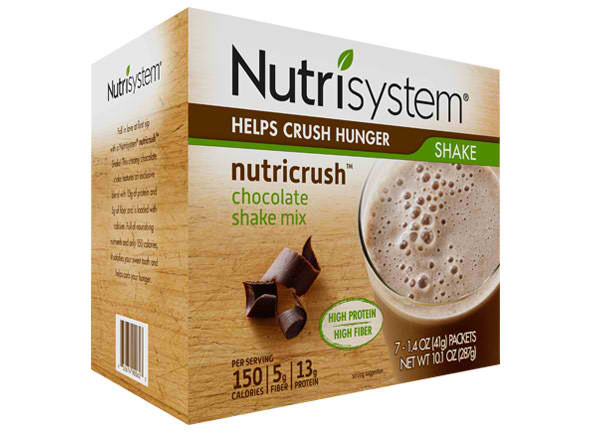 NutriCrush shakes are only available a la carte on Nutrisystem, as they are not bundled with any of the plans. Be Careful not to confuse these with the NutriCrush bars, which are protein bars included in Turbo Takeoff. If you’re wondering if you can use these shakes as meal replacements, it’s not really what they’re designed for, even though tons of other review sites categorize them as such. Note that TurboShakes and NutriCrush are low-calorie shakes, not magical potions that miraculously melt fats and flush them down the drain. When trying out these shakes, you still need to watch the other food you eat if you want to see changes on the scale. Now, let’s pick apart each of these shakes by flavor, and get down to the itty-bitty details you’ll want to know. What did we say about fitness foods being delicious? TurboShake Chocolate is so rich and tasty, you’ll be surprised it’s a diet shake. And yes, it does deliver on its promise to keep you full until lunch. Overall, this shake can make you forget you’re on a diet. One user even said, “I look forward to it especially considering the Nutrisystem food is not always eatable.” That should tell you something. Oh, the many ways to love this versatile shake! It tastes good with just water, but you can make it a yummier treat by dressing it up with fruit, mint extract, cinnamon, cocoa, or coffee. The shake’s vanilla flavor doesn’t taste artificial at all, and its thick consistency makes it filling. For a full list of ingredients, check out the photos below. For the full nutritional information, check out the photos below. They didn’t lie about NutriCrush being a filling snack. A serving of this shake really does curb hunger for a few hours, which is just perfect because now, we can forget reaching for a mid-morning brownie or a late-night cupcake. If your taste leans toward something less sweet, you may want to drink just half a serving at a time, or blend the drink with coffee. Yum! This NutriCrush shake is just as filling and delicious as its chocolate counterpart, but the vanilla flavor makes it so versatile that you can whip up your own meal replacements with it. As amazing as that sounds, Nutrisystem intended this shake to be just an appetite-quencher between meals and not an actual meal replacement. We say: Snack accordingly! It’s pretty easy to see why Nutrisystem’s diet shakes are way up on Nutrisystem dieters’ lists. TurboShakes and NutriCrush satisfy our taste buds and our tummies, making us so much more immune to sweet cravings. Imagine actually enjoying what you eat without putting on pounds? Thank you, Nutrisystem! Now if only the Nutrisystem food scientists could figure out how to make the rest of their food taste good too!